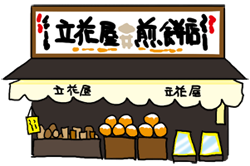 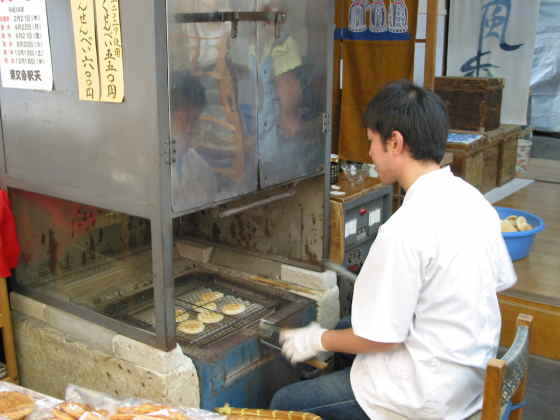 We are a shop of hand-grilled "senbei" (rice crackers). 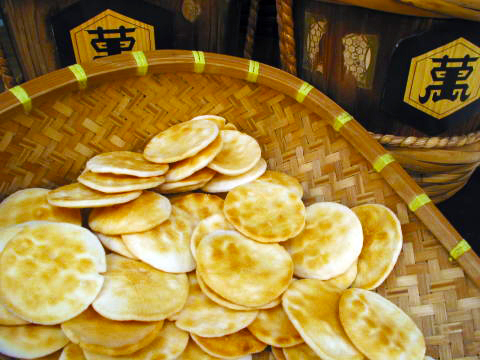 We have about 18 different kind of senbei including soy-sauce-flavored senbei, spicy senbei and sweet senbei. 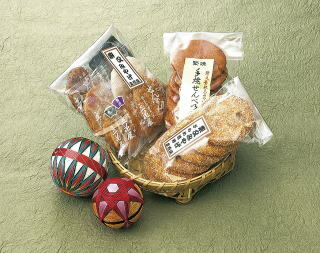 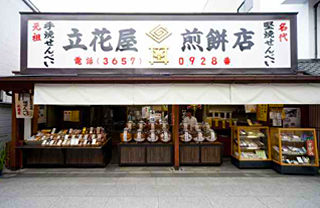 Our shop carries nostalgic taste by having an array of glass pot containing senbei.